Everywhere you look in Sospel, you find these narrow streets. The village is so unspoiled, so beautiful, it's not difficult to find yourself imagining, as you wander, how life was in the Middle Ages. Où que vous regardez à Sospel, vous voyez des rues étroites. Le village est si authentique, si beau, qu'il n'est pas difficile d'imaginer vous-même, en vous promenant, comment y était la vie au Moyen Age. I don't remember that I've seen these little roads. Are they on the same side of the river like the pictures from yesterday? 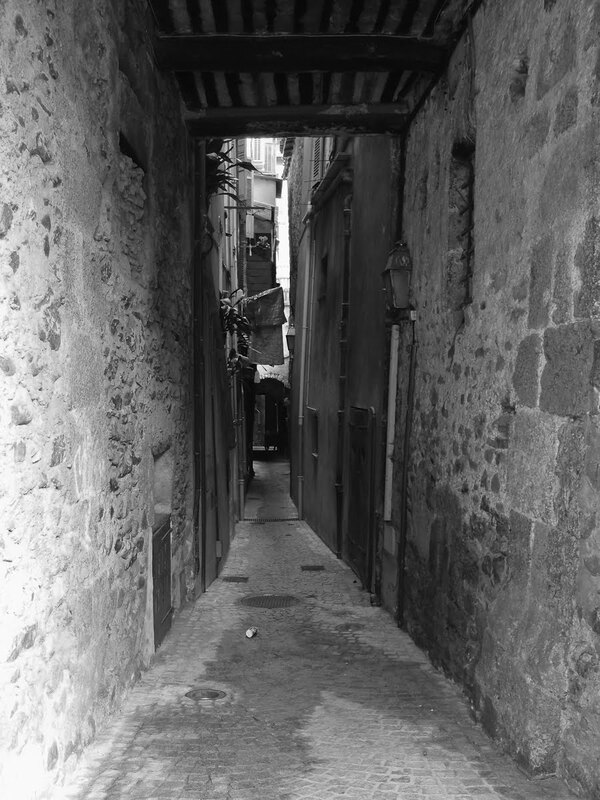 Have really been enjoying these images of Sospel Jilly, what a wonderful place, you are so lucky to be able to walk those ancient streets. these are so beautifully composed. I have a great love of history and especially the Middle Ages...which is why I love to visit Europe as often as I can. France has such an amazing and endless supply of towns and villages from that period....this one is a winner for sure Jilly. Barbara, Yes exactly - you cross the Toll Bridge, where you saw the old couple yesterday and these three streets are that side. Very charming. I hope it is safe to walk such narrow streets at night. Very stunning! I love your composition. Wow wahat an amazing place and great pics! You lead me in - beautiful photos. Let's never leave. I'm enchanted. Terrific. 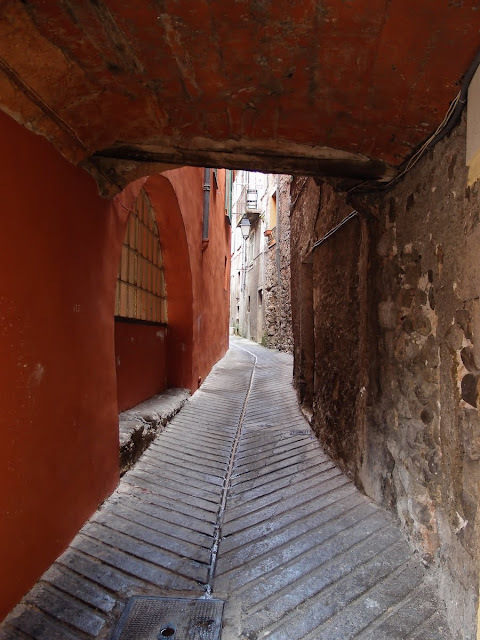 I'm always taking pictures of those archways across narrow streets. 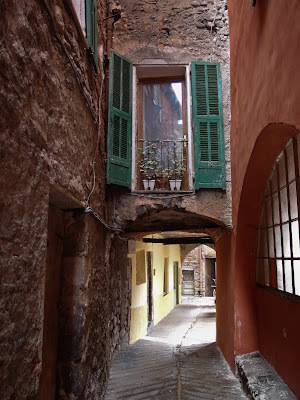 But I've never seen one like this, complete with Juliet balcony,shuttered openings and a view right through. Perfect. Who ate the penguin's nose?